Back in my working days, I was sometimes lucky enough to have lunch at ABC Kitchen, a restaurant just north of Union Square in New York. Though it’s not a vegan restaurant, ABC Kitchen features some of the best vegetable dishes I’ve had. My favorite was always the restaurant’s roast carrot and avocado salad with crunchy seeds, sour cream and citrus. 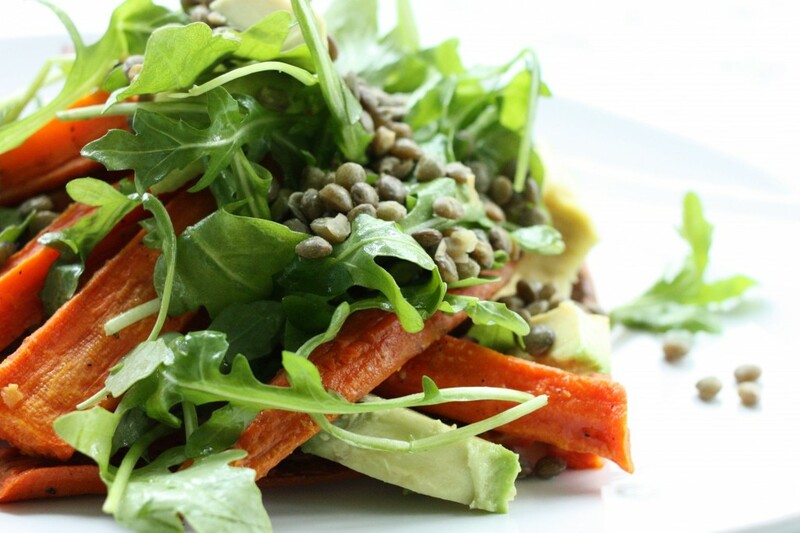 This roasted carrot and avocado salad is my vegan tribute. Last week, before I headed home for the holiday, I had quite a few carrots to use up in the fridge. I usually gnaw on carrots as snacks, shred them into salads, or chop them up into soups, so roasting sounded like a very welcome change of pace. As I soon as they were growing soft and fragrant in the oven, the idea for this salad came to mind, and I’m so glad it did. The ABC kitchen salad calls for a crunchy seed and sour cream topping. I opted for a sprinkle of brown lentils instead, in part because I had some of those to use up, too, and in part for a little extra heartiness. 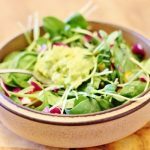 Some cashew cheese (my basic recipe is featured in this post) would make a very wonderful addition to this dish! Cut carrots in half lengthwise. Slice them into pieces about 4 inches long. Toss them with a tablespoon of the olive oil and then place them onto a parchment or foil lined baking sheet. Sprinkle them with sea salt and black pepper and bake for about 30 minutes, or until they're gently caramelized. Whisk the remaining two tablespoons of olive oil with the lemon juice and additional salt and pepper to taste. Dress the arugula with the dressing. Divide the arugula onto three or four plates. 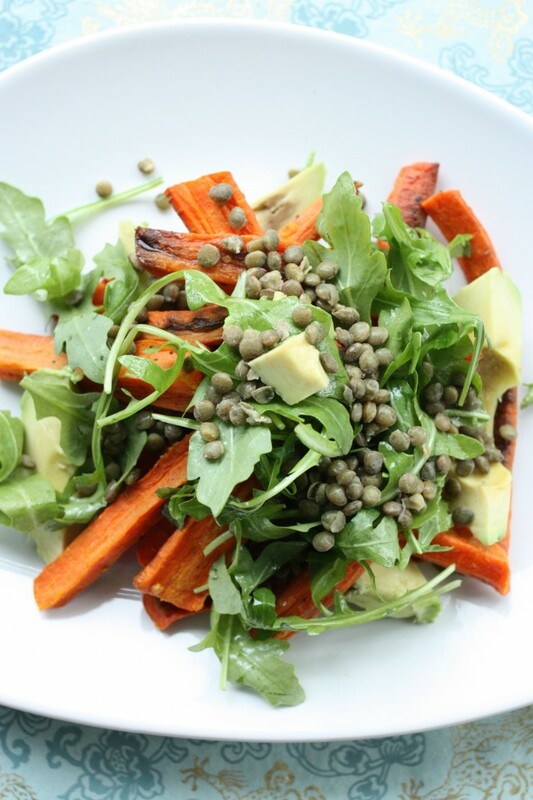 Top each bed of arugula with even portions of the carrots and avocado, and then sprinkle the lentils on top. Serve. This salad, naturally, is easy to customize. I think that walnuts, pumpkin seeds, and sunflower seeds would all make a nice addition. And any other legume you like would be great, too — I’m eager to try the dish with toasted chickpeas! 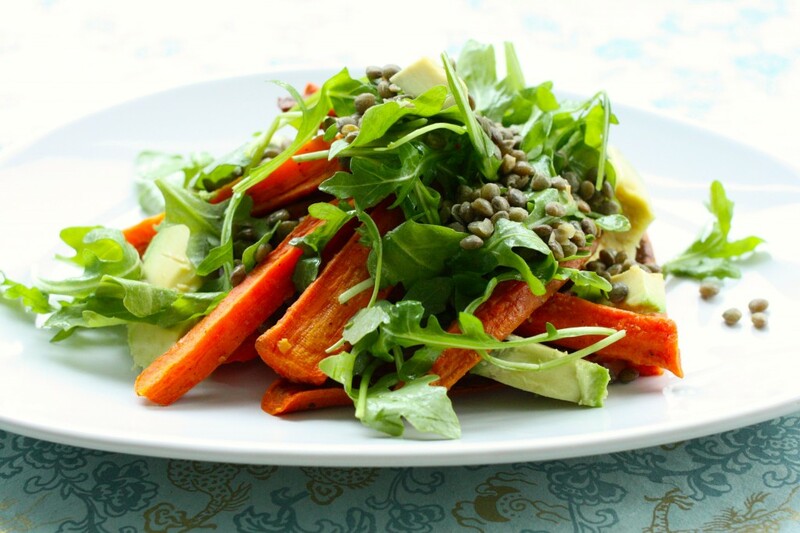 But for now, I so love the way spicy arugula contrasts with sweet carrots, chewy lentils, and creamy avocado. 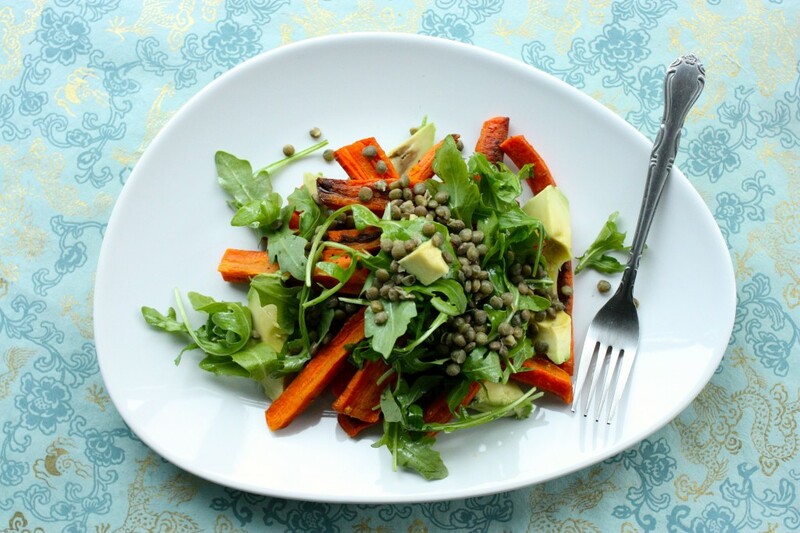 I often tell clients that an ideal salad contains protein, carbohydrates, and healthy fats. While it’s silly to get overly hung up on this, or treat it as a “rule,” it’s just a helpful guiding principle to keep in mind. 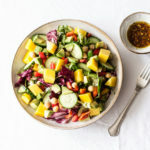 This particular salad is a nice example of that principle in action–some fat, some complex carbs, some protein, and plenty of flavor. Along with a cup of soup on a chilly afternoon, it’s a perfect winter lunch. LOVE ABC Kitchen, but your version of the salad sounds even better than their version. Oh man, that looks amazing! I gasped when I saw that first photo! I would definitely add walnuts. Because I add walnuts to everything. 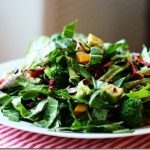 What a great winter salad. Thanks Gena! This is a mean comment. You’re beautiful Gena and you, your recipes and blog are an inspiration! Wow! I agree with Denise. Super rude comment. Gena, you are lovely, & this is a great nutrient packed, filling dish. Got a chip on your shoulder eh, J? J – In what way is a plentiful lentil and veg. salad and a cup of soup an indication that Gena is under nourishing herself? Depending on the density of soup of course, this meal likely clocks in at least 500 calories. Seem like a pretty standard, satisfying lunch to me. On the other hand, if your remark is actually a disguised form of body commentary, aka personal attack on Gena – everyone in this community understands your motivations – it is obviously is a reflection of your own self loathing vs. the person you are bullying. This is a beautiful salad! I love all the different colors, textures, and flavors. It would definitely be a satisfying companion to your creamy cauliflower and parsnip soup, especially in this cold weather. Thanks for sharing, Gena! Great salad option! Thank you for all your recipes!! You encourage all of us to be healthy! Thank you for your blog!! You inspire me and many others!! Love the simplicity of this! 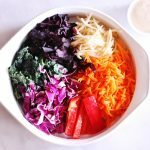 I would eat this salad–or something very similar–with a cup of soup for lunch ANY day of the week. Lovely Gena! I am looking forward to trying this too. I’m like you – I’m pretty boring with my carrot decisions (and I’m ok with that! ), it’s nice to switch it up. I had this last night for dinner. Very delicious!! You rock, Donna! Glad it was a hit.